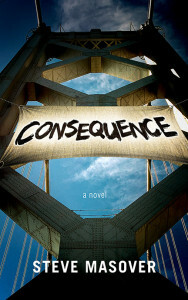 Consequence (Salted Rose Press, September 2015). Available at independent bookstores, and online at Powell’s, Amazon, Barnes and Noble, Google Play, Apple’s iTunes store, Kobo, and Smashwords. “Trackside,” Stoneboat Literary Journal vol. 7-1 (Fall 2016); also available at Amazon. “Martin’s Pond,” Five Fingers Review, No. 20 (Spring 2003); Smashwords edition (June 2012) also available at Apple’s iTunes; Barnes & Noble on-line; and Kobo. “Speaking in Silences.” In Our Mothers’ Spirits: The Death of Mothers and the Grief of Men, ed. Bob Blauner (New York, N.Y.: Regan Books-HarperCollins, 1997). “Guerilla Bookmarking.” In Self Promo Stories: Authors’ Boldest, Cleverest & Wackiest Strategies to Sell their Books, ed. Valerie Frankel (Smashwords Edition, 2016). Berenbeim, D.M., D.L. Wong, S.J. Masover, and R.D. Ciaranello. “Regulation of Phenylethanolamine N-Methyltransferase. III. Stabilization of PNMT against thermal and tryptic degradation by S-Adenosylmethionine,” Molecular Pharmacology 16 (1979): 482-490. Masover, S.J., D.M. Berenbeim, and R.D. Ciaranello. “Regulation of Phenylethanolamine N-Methyltransferase. IV. Synergistic stabilization of the enzyme against thermal and tryptic degradation by S-Adenosylmethionine and biogenic amine substrates,” Molecular Pharmacology 16 (1979): 491-503. Wong, D.L., S.J. Masover, and R.D. Ciaranello. “Regulation of Dopamine B-Hydroxylase Synthesis and Degradation. Ascoribic acid stabilization of the enzyme against tryptic proteolysis,” Journal of Biological Chemistry 256 (1981): 695-700.